Another day, another famous film director decides to try their hand at making a TV show. 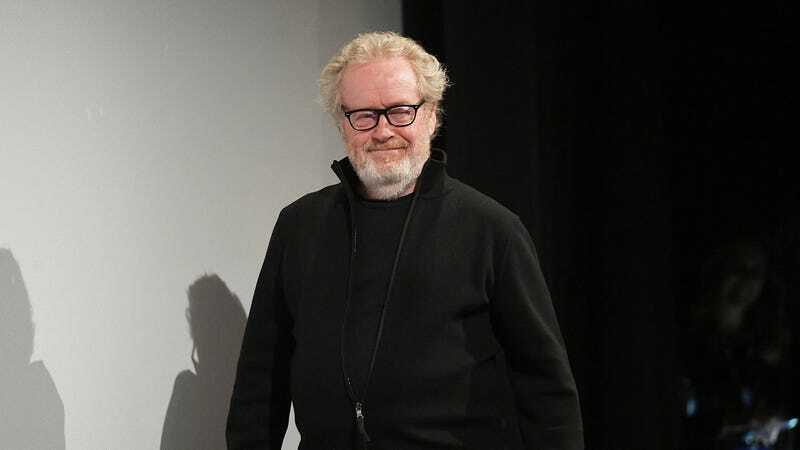 This time, the traitor to the sanctity of cinema is Ridley Scott, with a press release announcing that he’ll be making his TV directorial debut with a new sci-fi series for TNT called Raised By Wolves. Scott will produce the show, which comes from writer/showrunner Aaron Guzikowski (the writer of Denis Villeneuve’s Prisoners). The show will be walking some familiar thematic ground for Scott, as—much like a little movie he made called Blade Runner—it will revolve around the pressures of life as an android. Specifically, Raised By Wolves is about a pair of robots who are in charge of raising human children on a mysterious planet that mankind has colonized. As the grown-up humans start to fight and split off into separate religious groups, the androids have to decide just how they want to shape the beliefs of the little humans they take care of. In a statement, Scott teased some of the stuff the show will tackle, like whether or not mankind would survive if we “could start over again and erase the mess we’ve made of our planet.” We’re going to guess the answer is “no,” but we’ll wait and see how the robots handle it.